We currently have an exhibit on loan from the Beaumier U.P. 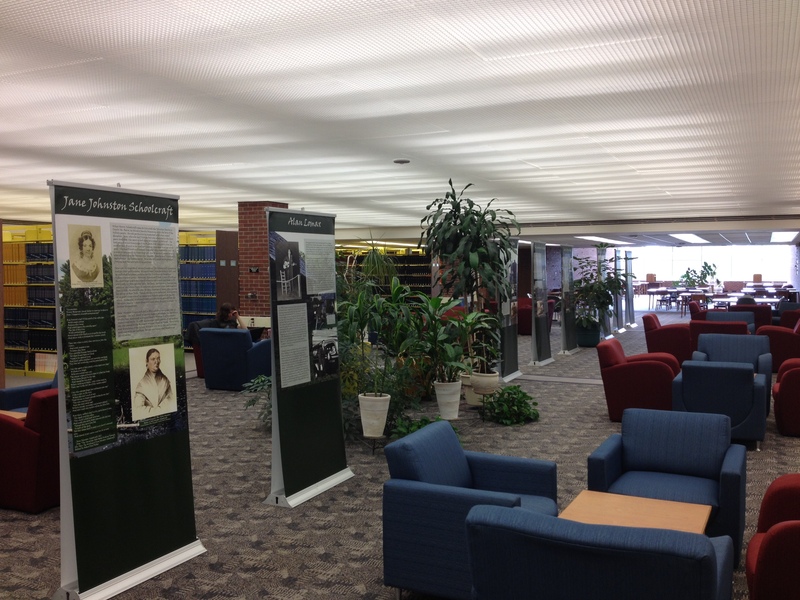 Heritage Center on the second floor of the library. The stories are told on large banners that tell the tale of storytelling and how it’s been passed from generation to generation while expressing the rich history of the Upper Peninsula. The UP offers great history on the people who have settled here and is continuously studied by folklorists and ethnologists because of the “unique nature” of the people and places. This exhibit will be here until mid July and can be viewed Monday through Friday from 7:30 am to 6:00 pm. If you would like to visit the Beaumier, their summer hours are Monday through Saturday from 10 am until 4 pm. They are located in 105 Cohodas Hall.